Pankaj Rajendra Dharkar, who was elevated form National President to International President of Fire & Security Association of India (FSAI) last year, has been passionately involved in providing innovative and energy efficient design solutions for building services for more than three decades. As the National President of FSAI, he took several remarkable initiatives which fructified well and became instrumental in the significant growth and expansion of the association. Fire and Security India Expo (FSIE) is one of those initiatives that he launched in 2017. Pankaj Dharkar established PDA (Pankaj Dharkar & Associates), a renowned MEP and Green Building Consulting Engineering Firm in 2006. In its constant dedicated pursuit for technical excellence, PDA has earned the reputation of providing quality engineering services in the field of designing and coordination of HVAC, IBMS, PHE, Fire Protection and Detection, Electrical, ELV, Lighting, IT, AV and Green Building Certification. PDA has the knowledge, experience and technical advancement to meet and exceed the anticipation of clients. It coordinates and executes wide range of projects of various applications such as hotels & resorts, offices, pharmaceuticals, hospitals, R&D labs, textile plants, commercial buildings & shopping malls & multiplexes, software and IT parks, high-rise apartments, banks, educational facilities, jewellery shops, manufacturing plants & garment factories, showrooms, exhibition centers, libraries, banquet halls, studios, cold storages etc. SecurityLink India (SLI): What is the concept of green constructions and how far would it be able to reverse/ balance the environmental loss/ imbalance? Pankaj Dharkar: The green construction covers conservation of all aspects such as energy consumption, water consumption, lighting design, indoor air quality, choice of construction material, land fill, green areas, use of local material, architecture designed to provide optimum window wall ratio, orientation of buildings, use of renewable energies like solar and wind and geo thermal energy etc. Green building is an integrated approach of architect, MEP consultant, lighting consultant, landscape consultant and the structural consultant which yields the desired results. The world does not have option but to opt for green technologies if we want our future generations to have sustainable life. SLI: How far the laws and rules of the land provision for the propagation of green constructions and what more do you recommend? Pankaj Dharkar: There is a good and increased awareness in the government which can be felt by the way the Ministry of Environment & Forest (MoEF) has functioned in the last few years. Their insistence to adopt Energy Conservation Building Code (ECBC) and the latest National Building Code (NBC) has automatically helped the country move towards more sustainable projects. PWD/ NBCC have started going with green certifications. Currently India has four green certification possibilities – GRIHA, IGBC, USGBC, and ASSOCHAM GEM. Some of the states and corporations have started giving incentives for additional floor area ratio (FAR) etc. I do believe states and central governments should come up with innovative concessions to inspire all developers/ stakeholders to ensure that only green constructions happen in the future. Currently the penetration of green buildings is just 5%. It is said that 70% of India still to be built by the year 2030. It is therefore important that the government create massive awareness programs. ECBC got implemented when the government introduced star labelling programs and advertised it extensively. Today each house lady knows that a five star AC or refrigerator is more efficient and saves energy for the household and these informed house ladies help their husbands make smarter choices. Similar revolution happened in lighting when LED was promoted by the government. I firmly believe similar initiatives have to be taken by the government for green buildings as well so that end customers (occupants) start demanding for green homes and offices from the builders and developers. Surely this will propagate green building environment in the country. SLI: How have the safe and smart city projects been doing so far, and what is the percentile of them on the ground promoting green constructions concept? Pankaj Dharkar: Out of 100+ smart cities proposed by the Prime Minister many have started shaping up. Each smart city has different vision and mission based on various constraints and challenges the city is facing. Two major green field projects which are fast taking shape are Amravati and Gift City near Gandhinagar. I’m fortunately associated with many buildings taking shape in Gift City and taking care of mechanical, electrical, plumbing and fire-fighting (MEPF) and green building consultancy work at the Gift City. I am very glad to put on records that this project is implementing all possible green aspects and smart city visions which includes centralized district cooling, centralized garbage collection system, centralized sewage treatment plant (STP) and water treatment and several new concepts for fire control & a centralized command center. The list of initiatives at Gift City is endless. I strongly recommend people to visit Gift City and witness how the Prime Minister’s vision of smart city is getting implemented. Pankaj Dharkar: PDA has completed and been associated with 60 projects which include 14 Platinum rated buildings, 17 Gold rated buildings and 3 GEM certified buildings. The total area of green projects covered by PDA as of today is 1,80,00,000 sqft. SLI: Which are some of your most satisfying projects so far and why? Pankaj Dharkar: The best project for me will always be Facet Diamond (Surat), having close to 3000 workers engaged in diamond polishing/ processing work. This project was completed in year 2003, though we went for certification in the year 2014 and achieved a platinum certification. This was the first project in diamond industry globally to get platinum certification. Also since this was completed early 2000, I feel extremely proud that our designs and engineering practices were always sustainable. SLI: Hi-rises and infrastructures such as hospitals are supposed to be, and are usually constructed under consultants’ guidance. However, the cases of hospital fires, collapse of buildings and other such incidents are on rise. Where do you see the lapses and how can these be minimized? Pankaj Dharkar: The current NBC 2016 gives special fire provisions for hospitals. I do believe if both passive and active provisions of NBC are rightly implemented the fire risks can be minimized. The codes go to the extent of recommending that no room can hold more than 3 liters of spirit or flammable liquids. The code also specifies what type of electrical cables to be used in hospital and smoke evacuation systems which needs to be integrated with smoke detection system. A high rise hospital must have good egress and adequate staircases width for effective evacuation. It is important that systems are tested and fire audits are conducted regularly so that in case of any incidents the active fire protection system works effectively to save expensive hospital equipment and invaluable human lives. SLI: Do legislations in India have provisions to check these lapses? Are they stringent enough, kindly comment? Pankaj Dharkar: Only Maharashtra state has enacted the fire law, and in Gujarat it is under implementation. I strongly believe that all 29 states and union territories must enact fire laws immediately to save deaths due to fire which are as high as 22500 every year. SLI: What as per you is the intelligent building management system, and what is the PDA’s method to easily accomplish it at projects? Pankaj Dharkar: PDA has an advantage of designing all building services in house and thus integrating them all seamlessly and efficiently. Today we are designing building automation systems for some of the country’s biggest and prestigious projects whether it is the country’s biggest Net Positive campus or the country’s biggest hotel. An intelligent BMS is something that should make the building easy to run and maintain, and that too in the most cost effective way. An intelligent building must adhere to global standards such as EN 15232 and ensure proper design keeping future needs and scalability of the building or smart city around it. SLI: How do you opt for the brand and technology while implementing security and surveillance in a building? Pankaj Dharkar: A brand that ensures the required SLA (Service Level Agreements) to our clients, and technology that suits the defined need of the building (no more or no less) is what we advise our clients to invest in. Security and surveillance needs vary from project to project and are carefully understood by us before we recommend anything to our clients. SLI: Lack of defined standards in security and surveillance implementations leads to the L1 way in India. How does it affect the security market and what are your recommendations? Do you see any change in the trend; kindly elaborate. Pankaj Dharkar: Through professional bodies like FSAI (Fire and Security Association of India), we are developing these much needed standards and helping the developers make safe and secure buildings. We are definitely seeing major shift in the trends. Several initiatives like the FIST (Finest India Skills and Talent) awards were taken during my tenure as the past National President of FSAI which promote and encourage everyone including the developers, system integrators and OEMs to raise safety and security standards. Pankaj Dharkar: We have started working with global societies like National Fire Protection Association (NFPA). FSAI organises the special NFPA certification programs in India whereby this special certification costs just Rs.55000 to 60000 to the engineers. The earlier option was to visit USA and give this exam which was costing close to Rs.400000. These programs on sprinkler design and detectors etc., are also being attended by engineers from adjoining countries like Bangladesh, Nepal, Bhutan etc. We intend to intensify work with global societies and various expert domains to ensure engineers in India working in fire & security industry become globally competitive. Over the years we also intend to increase our membership in countries like Nepal, Bhutan, Bangladesh, Sri Lanka and Middle East countries. Our flagship programs like PACC (Project Architect Consultant Conclave) are now being attended by fire chiefs of Singapore, Bangladesh, Abu Dhabi etc. We intend to learn from developed countries and create awareness in countries that are more under developed than India. SLI: How do you foresee the success of FSIE 2019? Pankaj Dharkar: We launched FSIE in 2017 at Delhi that grew 25% in 2018 at Bengaluru, and is to grow another 25% in FSIE Mumbai by 2019 show. We want to ensure that FSIE becomes the largest fire and security show of the country. Currently we are part of Build Fair alliance (BFA) with ACREX & ISH which takes care of HVAC&R and Plumbing so FSIE completes all engineering services of the building. The last BFA was visited by over 45000 visitors at Bangalore and this number is likely to grow this year in Mumbai. SLI: Kindly share your points of view about Security Link India. Pankaj Dharkar: We need professional publications such as SecurityLink India to complement our efforts and play the role of raising the industry standards. 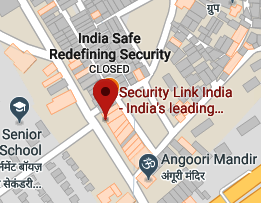 I wish all the very best and thank SecurityLink India for the good work being done.